SHOWS: MANCHESTER, ENGLAND, UK (APRIL 16, 2019) (REUTERS - ACCESS ALL) 1. 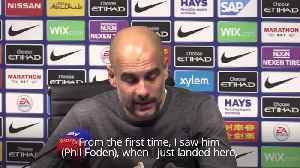 (SOUNDBITE) (English) MANCHESTER CITY MANAGER, PEP GUARDIOLA, SAYING (REPORTER ASKS QUESTION): REPORTER: "You talk about the fans. 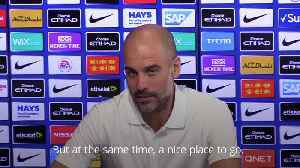 What have you made of the atmosphere and fans this season at the Etihad?" GUARDIOLA: "Liverpool game will be enough for me." REPORTER: "You want that kind of atmosphere then?" GUARDIOLA: "A little bit better." REPORTER: "Have you felt like they've helped you this season?" GUARDIOLA: "We need it. I played many time at that stage and sorry, guys, I'm a failure in that competition but many times I arrive in semi-finals, quarter-finals, and every time I play away the atmospheres are really incredible. Support a local team, so we need it. I want to see if they want to get to the semi-finals. 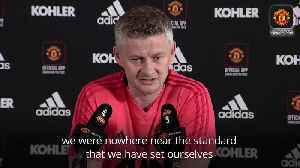 Not just the players, the players don't doubt us for 20 months. I want to see my fans, our fans, if they really want to get into the semi-finals. I want to see it tomorrow." 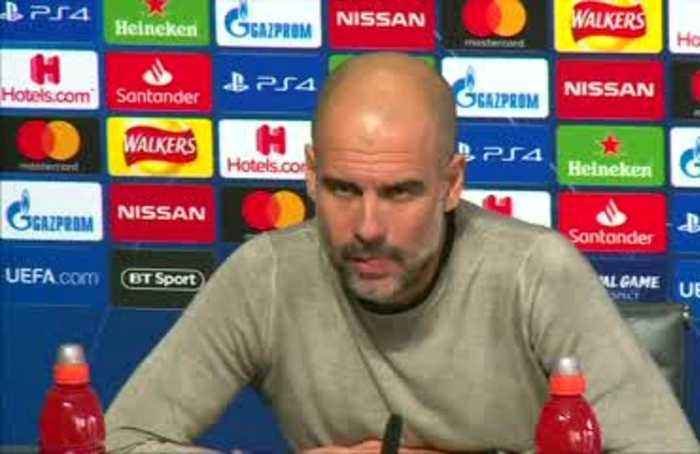 STORY: Manchester City manager Pep Guardiola called on the home supporters to give his players their full support as they look to overturn a 1-0 deficit against Tottenham Hotspur in Wednesday's (April 17) second-leg of the Champions League quarter-finals. But some tickets are still available for the match according to the club's website, and Guardiola admitted he was curious to see how the atmosphere turns out for this must-win game for City if it is to stay on track for an unprecedented quadruple this season. City fans take a poor view of UEFA and routinely boo its anthem when it is played ahead of matches, partly due to a hefty fine the club received from European soccer's governing body in 2014 for breaching financial fair play rules. 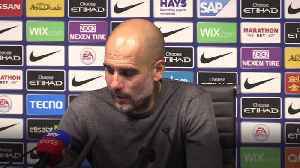 When asked what kind of atmosphere he wants, Guardiola replied: "Like Liverpool (league victory in January)...but a little better." 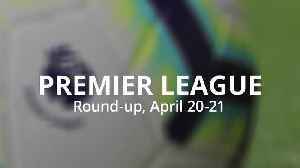 Even if they beat Spurs to reach the semi-finals, City will have no time to rest on their laurels as they face the north London club again in the Premier League on Saturday (April 20) before visiting local rivals Manchester United on April 24. With league leaders Liverpool two points ahead of City, who have a game in hand, Guardiola suggested the next seven days were crucial for his side's season.